The North American Indigenous Games is currently taking place in my home town of Regina, Saskatchewan, Canada. 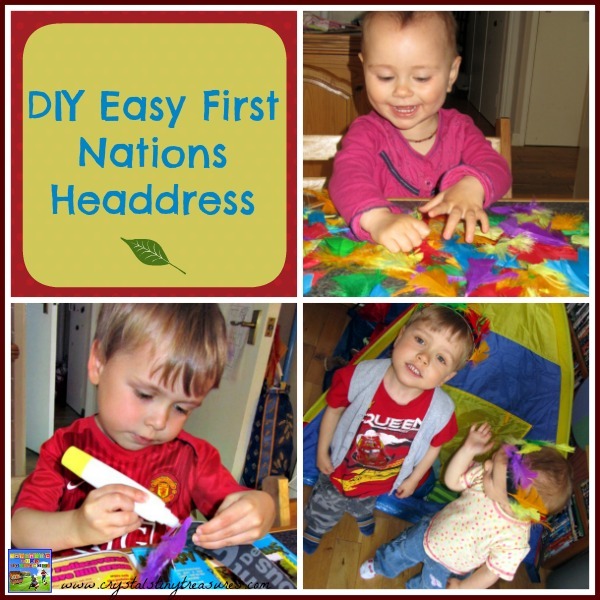 I wish I could be there in the centre of the action, but as I’m across the Atlantic, I thought it would be a good time to revisit some of the First Nations activities the children have done over the past two years. 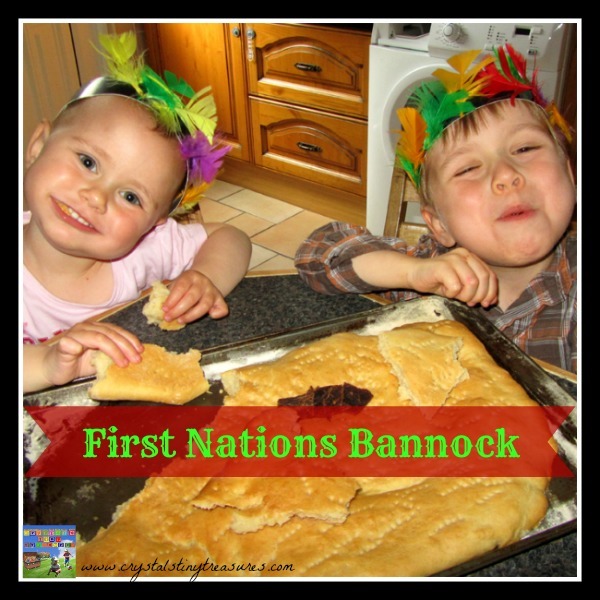 My children love food, so what better way have them learn about another culture than to make some Bannock. Click on the photo below to take you to our recipe. The kids made feather headdresses. Kallista enjoyed the feel of the feathers more than anything else! 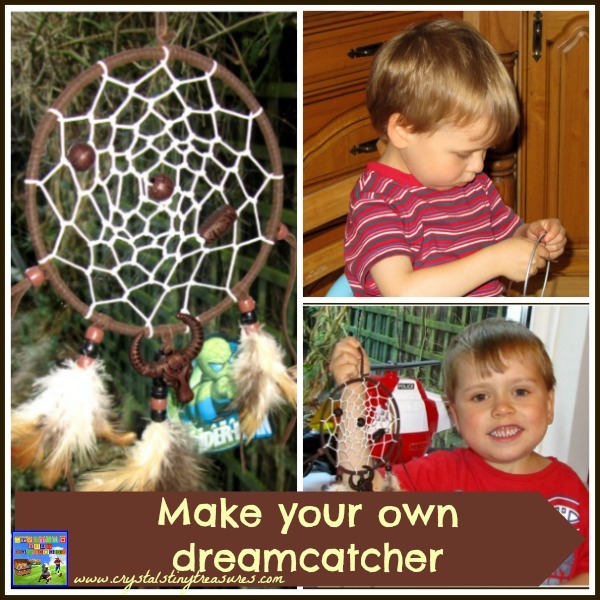 Tristan made himself a dreamcatcher to help keep the bad dreams away. He still uses it, and it works! See how the story continues. The kids learned a little more about First Nations culture when they visited a museum. We made a sweat lodge for small world play and had a unique way of explaining how it worked. 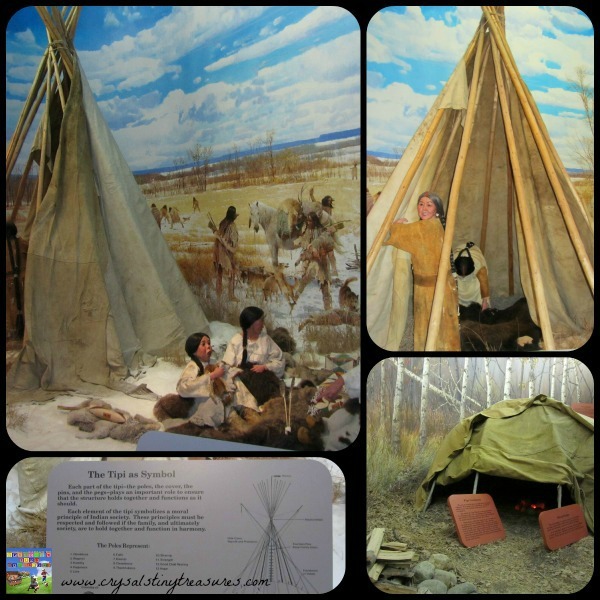 The last time we were in Regina, we visited the Royal Saskatchewan Museum. We learned a lot about First Nations people here. This is a topic close to my heart as Indian Studies was also my minor in university. We’ll be learning a lot more about the First Nations of Canada in the future. 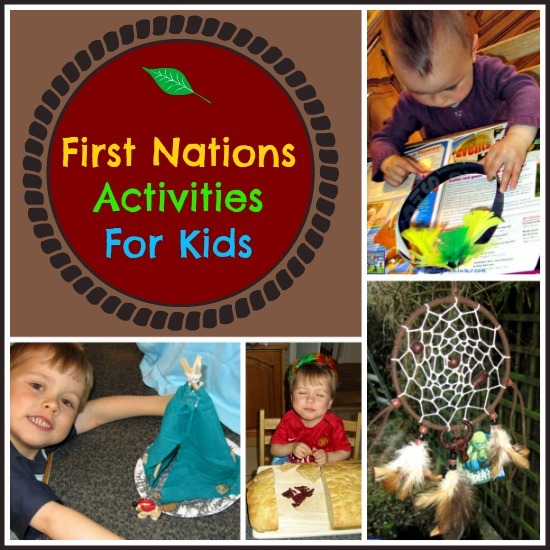 Sign up to our blog posts to follow our adventures, and don’t forget to see our First Nations page where we’ll be adding more activities as we do them. What a fun day and great activities and food to celebrate a different culture. Sharing on Twitter. Food is definitely somethign that everyone can share, no matter what your age! Thanks for sharing, have a fun weekend! What a cute idea! We just had a missionary visit our church that is going somewhere in Saskatchewan. He said it is the fastest growing province in Canada. Saskatchewan was stagnant for decades and lots of young people were leaving, but now it’s the most happening province! We’re working on more ideas, just waiting for some supplies to arrive. Have a great summer, Tammy! This is such important learning for children! We have enjoyed several events such as the Fort William’s (Canada) realistic reenactments and Grand Portage, MN, Voyager Days. Your children are lucky to have such active and memorable learning experiences. Thanks! I wish we were closer so the kids could visit some historical sites. We’ll be sure to do even more exploring the next time we’re back in Canada. We have lots of info on the way so I’m sure more projects will be in the works soon. What great ideas!! I love them. Thank you for sharing at Sharing Saturday! What a great resource Crystal! 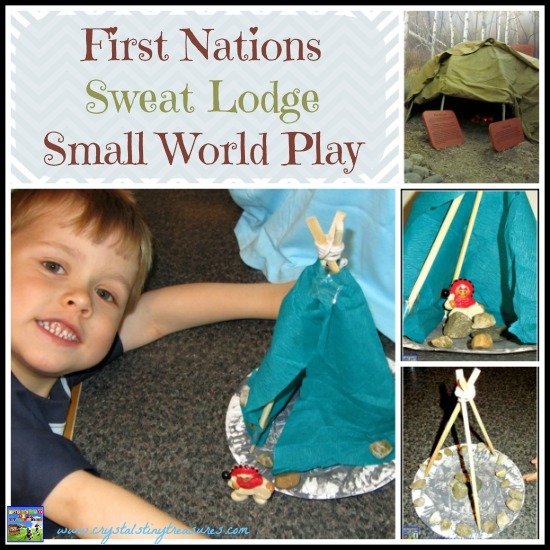 I especially like the sweat lodge small world play – what a great way of explaining it to younger kids. Thank you, Marie-Claude. It was a lot of fun to make. I think we’ll do it again now that my daughter is old enough to participate.